Academic choir of Ural Federal University named after B. Yeltsin, first Russian president (called “Capella of Ural Polytechnical Institute” in 1955 – 1993) was revived by Svetlana Dolnikovskaya in 2003. Official choir (capella) history begins in 1955. Over the years, the choir was led by well-known musicians, such as Mikhail Rozhansky, Evgeny Kolobov – People’s Artist of Russian Federation, laureate of State prize of Russia, founder of Moscow theatre “New opera”; Evgeny Brazhnik – People’s Artist of Russia, laureate of State prize of USSR; Vera Davydova – Honored Artist of Russia. Since the beginning of 1990-s the choir concert activity was stopped. Nowadays the choir has united students, post-graduates and graduates of different institutes of Ural Federal University. The collective conducts active creative activities and is a permanent participant at regional, All-Russian, international competitions, festivals and master-classes, performs at solo concerts, between which there are performances at Russia, Czech Republic, Slovakia, Austria, Belgium, France, Italy, Macedonia, Japan, Canada and Great Britain. Choir annually takes part in Moscow Easter Festival under the baton of Valery Gergiev. 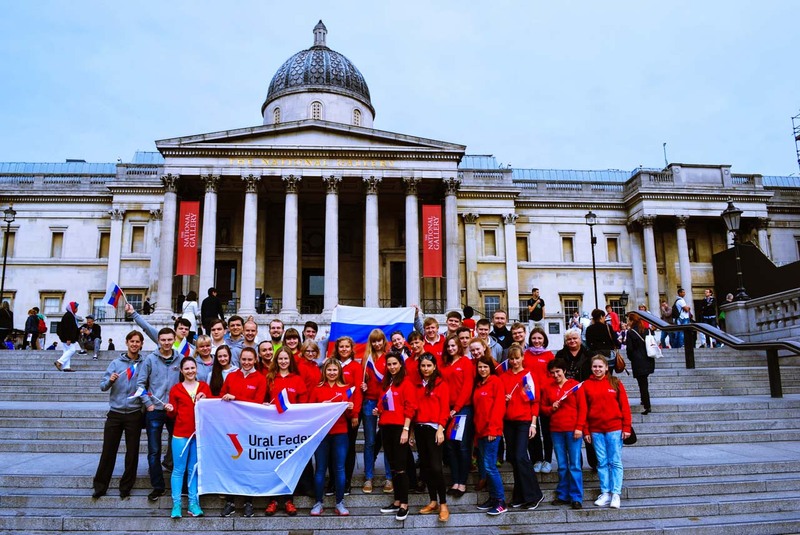 Academic choir of Ural Federal University has won the silver prize at All-Russian choral festival in May, 2015. Art director and main conductor is Svetlana Dolnikovskaya. Choirmasters are Fridrich Veysgeim, Yana Didkovskaya. Concertmaster of the choir is Oksana Suslova, laureate of All-Russian and international competitions. Svetlana Dolnikovkaya is a famous musician in Ural region. She grew up and got a musical education in Yekaterinburg (Sverdlovsk). Talented conductor, she is one of continuers of Russian choral school tradition which has been handed over to her during the years of study in Sverdlovsk Regional College of Music and Mussorgsky Ural State Conservatory by the leading teachers of those years Galina Gurevitch and Margarita Glagoleva. The bright personality, extraordinary interpretations of sometimes the most famous pieces and emotional intensity distinguish the performing style of Svetlana Dolnikovskaya, attracting the attention of choral music lovers and professional musicians. Svetlana is a laureate of international choral competitions and festivals. She received the special “Best conductor” prize at International youth choral festival in Bratislava (Slovakia) in July of 2009 and the special prize of Vienna city major for the best choir of International youth musical festival “Youth and music and Vienna” (Austria). Svetlana Dolnikovskaya became a laureate of Sverdlovsk region Governor for outstanding achievements in literature and arts.